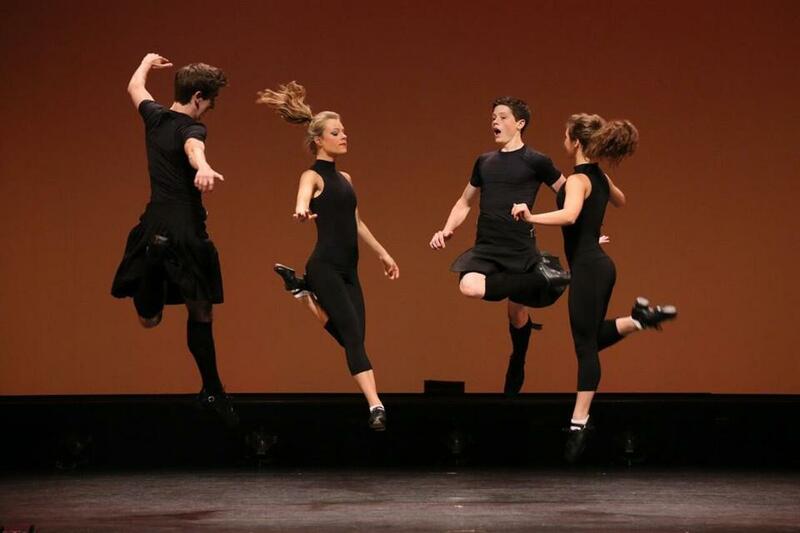 Trinity Irish Dance Company stretches the concept of step dancing to the limit. Before “Riverdance,” there was . . . Trinity Irish Dance Company. Created in 1990, Trinity paved the way for the contemporary step dancing of “Riverdance,” Michael Flatley’s “Lord of the Dance,” Colin Dunne’s “Dancing on Dangerous Ground,” and countless other Irish extravaganzas. The company hasn’t toured to Boston since 1998, and its appearance Saturday at the Emerson Majestic Theatre, in a World Music/CRASHarts presentation, confirmed that the return visit was long overdue. Much has changed, however. The 1998 show opened with “The Mist,” a dry-ice evocation of prehistoric Ireland. This one starts off with “Communion,” in which women in tunics and black leggings sing a Scots Gaelic waulking song to the accompaniment of body percussion. Over the next two hours, they stretch the concept of step dancing to the limit. They turn up in red cheerleader outfits, they stomp and bang the floor with sticks, they imitate a drum and bugle corps. They even step dance to pop songs. In 1998, O’Shea sang “Raglan Road”; here he performs his own compositions. The flailing arms and sashaying hips could put off step dance purists. But this is a show where women make the form their own. And when called upon, they deliver the footwork fireworks. Even the two men, Craig Ashurst and Peter Dziak, get their innings in “Push,” where with Chelsea Hoy and Maggie Doyle they engage in a cutting contest. Howard also has a sense of history. “1982,” with Sydney Niewiedzial in a spangly competition dress, reflects on how far step dancing has come since Howard founded his academy. “Johnny” updates a number Trinity presented on “The Tonight Show” when Johnny Carson was host. 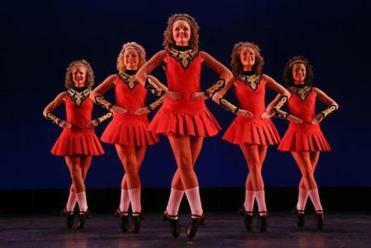 “Sevens” alludes, in its title and its choreography, to Irish social dance. Colin Dunne’s “Listen” begins with women walking in a circle to the folk song “Óró, ’sé do bheatha ’bhaile” and ends with what seems the birth of step dance as street dance. Boston native Seán Curran, who started out as a step dancer, contributes “Curran Event,” in which the mini-kilted women spoof the steps with their arms until Erin Gradus literally puts her foot down. Mark Howard’s troupe, credited with pioneering progressive Irish dance decades ago, is making its first Boston appearances since 1998. That’s not the only lighthearted sequence. In “Chairs,” fiddler Kathleen Grennan gets up and does a few steps of her own. And in “Johnny,” three kids from local step dance academies — Bella Fiore, Devin Mullaney, and Daniel Sullivan — make a cameo appearance. Like the show, they’re gone too soon.